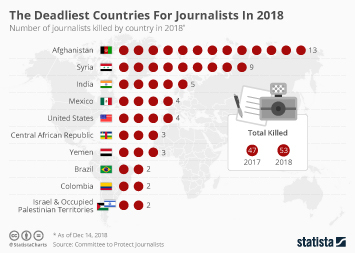 Ten people have now been arrested in connection with the killing of Maltese investigative journalist Daphne Caruana Galizia, who was murdered close to her home in a car bomb attack on October 16 this year. 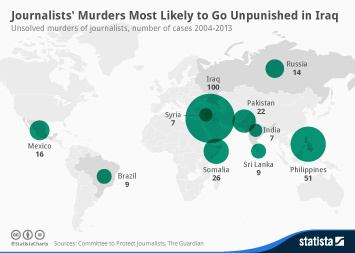 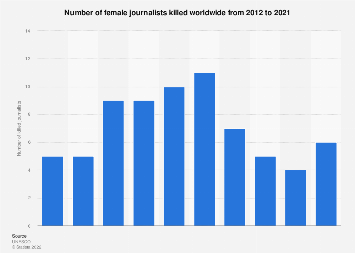 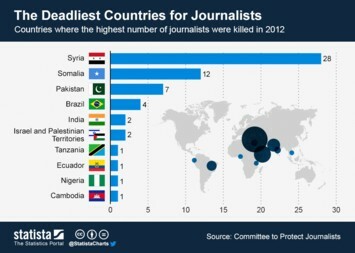 Her death justifiably shocked the country, but on a global scale, the killing of journalists is unfortunately far from a rare occurrence. 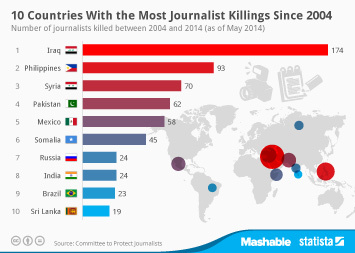 As new figures from UNESCO show, from 2012 to 2016, there were a total of 530 killed globally. 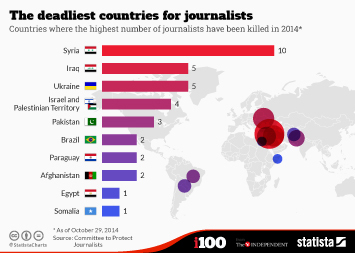 The country seeing the most deaths was Syria, with 86. 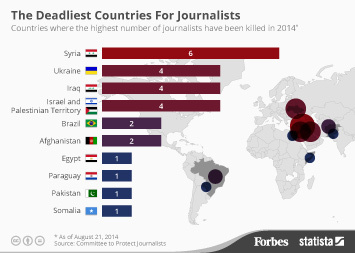 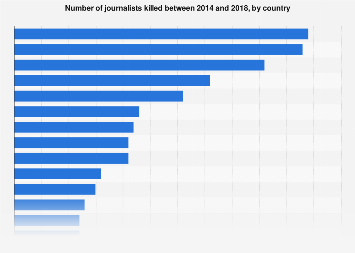 This chart shows the number of journalists killed between 2012 and 2016, by country.